Accurate, quick, compact and easy-to-install camera – no computer is needed. TARGHA 512 was designed for those looking for: a highly reliable device that never makes mistakes and that can guarantee maximum accuracy in reading number plates even when they are dirty, damaged and /or worn-out, an easy-to-install license plate reader, a product compatible with all main access control systems, smart, with an independent automatic system. high accuracy and resolution, small size, maintenance-free, complete and independent system, full compatibility with all access control systems. IP camera with optical character recognition (OCR) software for automatic number plate recognition (ANPR). 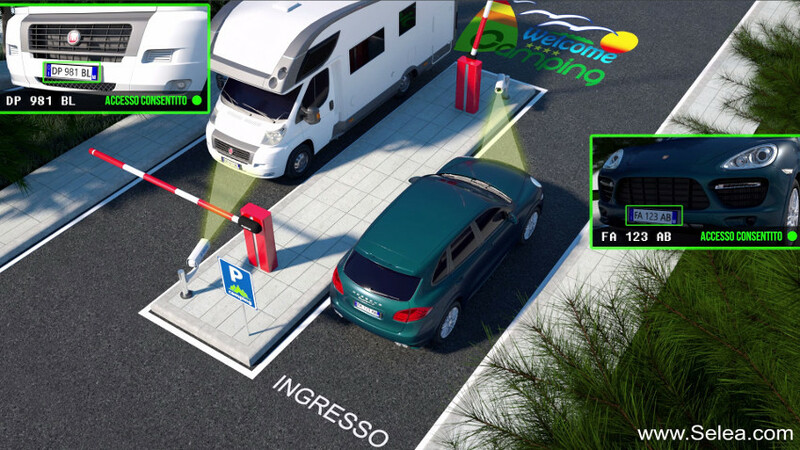 This means the camera automatically reads the number plate of any vehicle: cars, motorcycles, lorries, motorhomes, buses, ambulances, law enforcement vehicles, etc. TARGHA 512 is fully accurate when reading number plates of vehicles travelling at moderate speed. Thanks to its internal memory, TARGHA 512 camera can store special lists of authorized vehicles (white lists), therefore working as an independent access control system, without the need of a computer. Its software checks and updates white lists, allowing access to vehicles even in the event of a computer shut-down or of an interruption in the connection between the camera and the operations centre.